These were among the 18 semifinalists that did not make the cut to become one of five finalists. 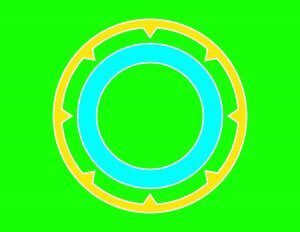 Until a few weeks ago, nobody realized Albany needed a city flag. 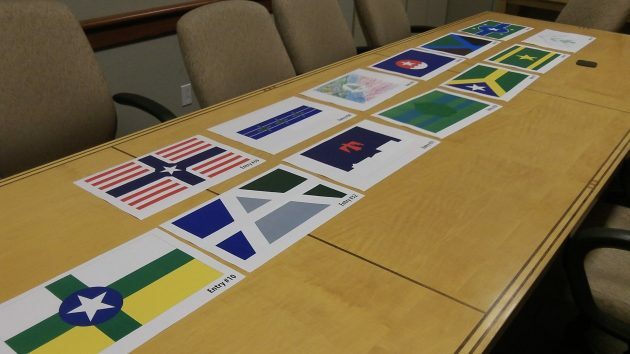 But then members of a flag cub at West Albany High School appeared before the city council, and now we have five finalists in the competition to choose a design. 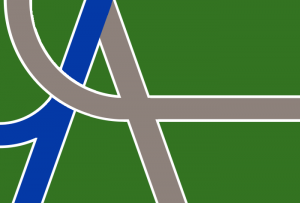 Unlike the high school flag club, which goes by “Greater Unified Albany Vexillological Association,” I’m no expert on flag design. But do the finalists all look a little on the bland side? Mostly muted colors — they all have kind of a somber look. 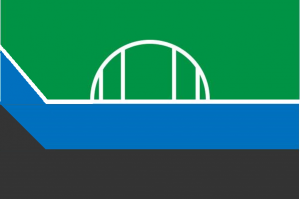 Seems to me that if a city needs a flag, it would look for something that symbolizes optimism and pride, something that looks cheerful and bright. The jury in this case was made up of Corey Barton, owner and graphic designer at NoDinx; Shannon Willard, who was county treasurer when Linn County got its own flag years ago; John Boock Jr., a patron of public art who commissioned and donated the reflective flag on the front wall of City Hall; Oscar Hult, a graphic designer and co-owner of the Natty Dresser downtown; Cole Pouliot, the West Albany math teacher who advises the flag club; and West student Nate Strader-Sprague. Frankly, I’m underwhelmed by the choices. Perhaps an explanation of the symbology would help. The gray/charcoal weakens four. Too bad the 5th graders didn’t know about the “contest”. Information was sent to all staff of the Greater Albany Public School District, in the letter it was suggested that they share it with their classes. HO HUM – BORING Is Albany that boring to the artists? I like the green/gray/blue (top right). Has an “A” and maybe some of Albany’s weird streets. I really do like it; I would vote for it. 1 – The transportation hub. It’s easier to go to most places from Albany than from, say, Corvallis or Lebanon; vastly easier if you’re not driving. Trains and buses on those blue and gray curves will take you there quickly. 2 – The railyards, highways, and sparsely-bridged rivers that make Albany less a city than a disconnected grab bag of neighborhoods. Dark green city pieces on a symbolic map, cut apart by blue rails and gray highways that feel as outsized in real life as represented on the map. For Hasso’s “optimism … cheerful and bright,” add a bunch of rainbow-colored connectors over the dull lines that could translate someday into real bridges and paths over the all-too-real web of obstacles. 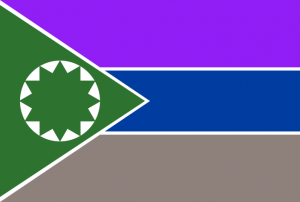 Anyway, this flag is my favorite just from aesthetics, never mind the symbolism. It has an oddly familiar look, maybe just from staring at it too long. 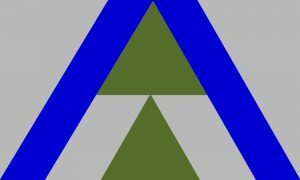 For the curious, I believe most of the proposed designs are intended to conform to the principles from the North American Vexillographic Association. I’m impressed by anyone who follows vexillology. OR… just a picture of you Jim. Green symbolizes Albany’s place as the Grass Seed Capital and its emerging Filbert Tree Market.